Sporting the all-new Etna Orange color with a Sonic Silver dual-tone roof option, the Tata NEXON Hyprdrive S-SG comes with best-in-class ground clearance of 209 mm. Extensively loaded with features, the car is equipped with an intelligent transmission controller, which includes features such as anti-stall, kick-down and fast-off; helping optimize the automatic gearshifts to provide best power output during overtaking maneuvers or quick acceleration requirements. This combined with 110PS power output from turbocharged motors results in an enthralling and sporty drive experience like no other. Additionally, the Tata NEXON HyprDrive S-SG is not only pegged at drive convenience, but also comes with class-leading infotainment system. It comes with a 6.5” floating dash-top touchscreen infotainment with next-gen smartphone connectivity and an exclusively tuned 8-speaker system from Harman-KardonTM, for a surround sound theatre like experience. With next-generation of smartphone connectivity with Android AutoTM to ensure an easy and intuitive vocal interaction with the infotainment for navigation, music, making calls; the system additionally allows reading & replying to text & WhatsAppTM messages. Add to this, voice alerts for warning functions, video playback and image viewing options, truly define the technologically advanced DNA of the Tata NEXON HyprDrive S-SG. 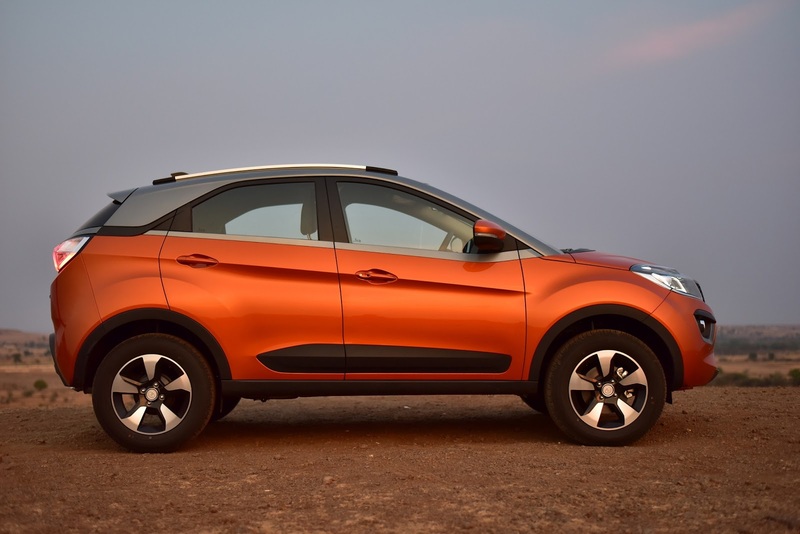 Along with the launch of Tata NEXON HyprDrive S-SG, Tata Motors has announced the launch of its online car customization platform - ‘IMAGINATOR’ for the NEXON. The IMAGINATOR is a platform that offers the flexibility to a user to enhance the look of his/her car by visualizing and adding the required accessories. This platform also enables a seamless online accessories purchase which in turn enhances the overall customer experience.